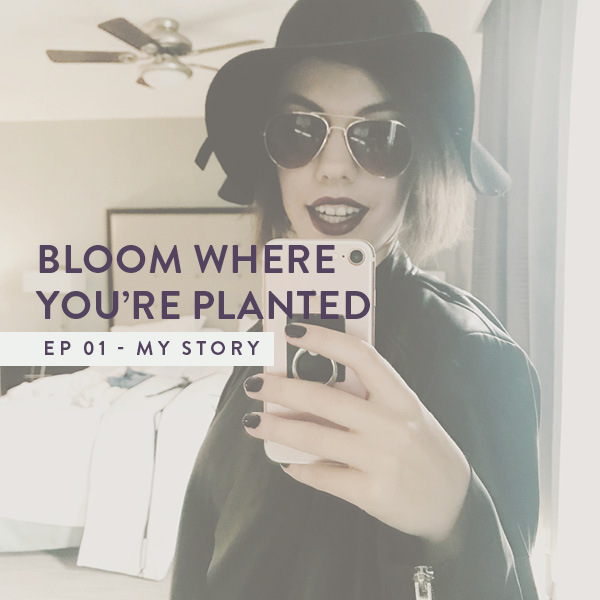 Bloom Where You're Planted EP 01 - I Guess I Started A Podcast! — Andrea O. This last year has been a little overwhelming for me. I started this blog in October and already I feel that it's growing faster than I can imagine, so I took some time in January to really hone in on my direction and to see what new and challenging things I would take on in 2018. I've started a podcast, and I'm sooooo excited about it! I started out with a little trailer for now but expect podcast episodes on Tuesdays and Thursdays that centre all around self-love, mindset magic and life overhauling. I'm bringing my sparkly self over to the microphone as often as I can, because this is something I really want to be good at. I like helping y'all out with helpful content, and so far this seems to be the most natural way to do it, so bear with me as I figure out the logistics of this whole podcasting & talking to myself in an empty room thing. Be sure to hit subscribe on the iTunes store to make sure you get the second episode on Tuesday, we're talking morning routines! PS: If you want this goodness all in your inbox, sign up below! I'll roll out the red carpet for you, and its the best place to stay up to date with all my schemes. Sign up with your email address to receive all the latest from me!